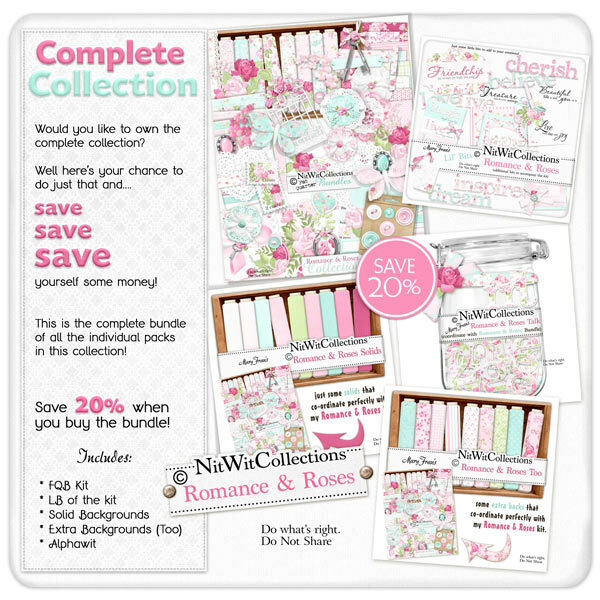 "Romance & Roses" Collection is a romantic digital kit, Nitwit-style! The colours and feeling of this Collection evokes the true days of romance and love.....lost in seas of pink florals, pearls and many other elements of bygone days. Let your eyes flow over the preview of this kit and hopefully bring you back to so many fond memories. We hope that it also will help you to create many layouts and/or cards for the loved ones in your life!